HJ: You only get stuck when you momentarily forget that anything is possible at all times. It’s a trap of the rational/logical mind and one that you can shift out of by reconnecting to your intuitive mind and opening yourself to infinite possibilities. Learn a few powerful ways to do that below. If you’re stuck and you don’t know how to rise, don’t look outside yourself. Look inside. Have you ever felt like you were racing around in circles without making much forward progress? I know I have, many times. In the past I caught myself feeling stuck more often than I wanted to admit, and eventually I knew I needed to find a new roadmap. I was feeling utterly depressed and trapped by the same old problems and scenery. I needed to free myself! Fear is the cage that keeps you stuck. Faith is the key that sets you free. And the second thing I learned is that getting unstuck isn’t just a single action – it’s a process – a life-changing journey. And all journeys begin with a call to adventure, and this call is different for all of us. Here are ten strategies (“calls”) that I’ve successfully implemented over the years to help clients and myself get unstuck, mentally and physically, even when doing so seemed impossible. One of the simplest ways to get unstuck is to simply shift your environment. Your mind and state of … “stuck” … would shift rapidly. And the great thing is, it doesn’t have to be that dramatic a shift. You can go for a walk in a nearby park. You can jet out of the office for a cup of coffee. Or if you’re at home, you can simply go to a different room in the house. Going to a nearby park for a 45-minute power-walk in the woods. Meditating for 20 minutes in the back the city library, and then reading a chapter or two of a great book. We live in an amazing world and we are all blessed with inspiring environments around us – especially those of us fortunate enough to live in developed countries. Whether it’s urban spaces, parks, libraries, museums or even our own backyards, there are plenty of available sources that we can draw inspiration and strength from. One of the models that we use to help clients and customers at Asian Efficiency is the idea of core values, beliefs and goals. Core Values are the big ideals that we have, like benchmarks for happiness, generosity, or success. Goals are the outcomes in life that we strive for. When we get stuck, it can be extremely useful to come back to these three things: core values, beliefs and goals. Why? Because they form the fabric of what is important to us as individuals. They act as a reminder of who we are, how we got to where we are now, and what it is that will carry us forward into the future, no matter what may come our way. In both The Matrix and the original Through the Looking Glass, “follow the white rabbit” refers to following whatever inspires us. It can be an idea, a hunch… or anything else. Even the tiniest, most seemingly insignificant thought can spiral into a masterpiece of creation, if we let it. Whether it’s an article on marcandangel.com, an incredibly inspirational quote, or a comment or story from a friend, we can take something small and use it to break free of limiting thought patterns. Our company name, Asian Efficiency, comes from a small, humorous comment that my friend Nick made ten years ago – “The only reason you guys are efficient is because you’re Asian.” Ten years later, we’ve helped hundreds of thousands of people around the world become more efficient, productive and live happier and more fulfilling lives. And no, they’re not all Asian! ? When we’re stuck it can sometimes feel like universe is working against us – the people around us, the world at large, and definitely the circumstances we find ourselves in. It’s important to have belief – to have faith, trust and hope – that the universe is not a bad place, or for that matter, a good place. The universe simply IS. But what the universe does do is reward people who nurture the positive, patiently. If you firmly believe that positive things can happen, they gradually will. If you firmly believe that you can get unstuck and move onward, you gradually will. One of the core things that we help clients with at Asian Efficiency is the construction of Systems. Now most people think of systems as something mechanical or man-made – something cold, without soul, and machine-like. This couldn’t be further from the truth. You see, all a system is, really, is a way of working things out – of getting unstuck. In fact, a system is nothing more than a natural pathway of thought that someone has created with their mind. Whether it’s a system for making a cup of tea, a system for overcoming fear, or a system for managing a team of people, a system is simply a way of thinking that someone has created – and that other people now use to help them accomplish certain tasks or overcome certain challenges. So when you get stuck, there’s no need to go back to the drawing board. Ask the people around you about the systems that are working for them, read insightful books and blog articles, and use the same methods and pathways that others have used to get unstuck. One of the biggest secrets of highly happy and successful peopleis that they didn’t get there by themselves. Very often, they have a supporting cast of friends, family, mentors and others who help them thrive. All details aside, they always ask for help when they need it, and they enjoy helping others who genuinely want to succeed as well. When you ask someone for help, you aren’t bothering them, or being a nuisance – you are creating the possibility that 1+1 = more than 2. Because, as human beings, we learn when we teach too – we learn in our roles as both a teacher and a student. At Asian Efficiency, one of our core values is Pull Others Up. This means that whenever we’re able to, we want to help others succeed. We want to “pull them up” so to speak. And we love doing it. There’s nothing more fulfilling than seeing others we have helped do as well as we have, or even better. When you’re stuck, don’t be afraid to ask for help. And don’t be afraid to reach out and help someone who’s even more stuck than you. When you have an arduous task ahead of you, like having a difficult conversation with someone, you’ll find that you want to procrastinate. This is perfectly normal, and understandable. In fact, in many cases you should procrastinate and give yourself enough time to get your thoughts right – but do it resourcefully. Instead of just sitting there stumped and hiding from this person, go do something else that invigorates your mind and allows you to think more freely – perhaps journaling, meditating, painting, playing guitar, or exercising. You have to let your mind and body to connect, process and prepare for the arduous task ahead. By keeping your attention focused on the right things, it will do exactly that, and when you come back later, you’ll find yourself better able to handle the arduous task with less stress and anxiety. One of the tenets of Eastern Philosophy, in particular, Taoism, is that we all have a natural frequency that we vibrate and respond to. If you find yourself stuck, it could simply be that you are currently off-frequency for some reason. 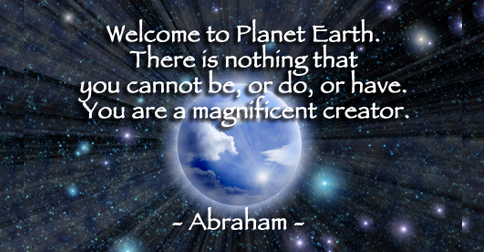 We are all beings of unlimited potential, but we were most definitely not designed to do everything. We all have things that we’re naturally drawn to, talents that come easy to us, and skills that we’ve mastered. You need to respect your natural frequency and tendencies. Some people perform at their best in solitude, while others perform at their best while surrounded by others. Some people are great at pulling things apart and then putting them back together, while others are great at assembling creative masterpieces on a blank canvas. When you find yourself stuck, you could be in the wrong environment, working under the wrong conditions, or very simply, in the wrong state of mind. To get unstuck, you just need to think, reassess, and then try something a little different – make a small shift in your approach or routine. See how it goes for a month and then reassess things again. Sometimes all we need to get unstuck is to simply take the next step in our journey. Almost always, the barriers that we have in front of us are psychological – not physical. There are no material walls, gates or barricades stopping us from moving forward. When this is the truth in your life, all you need to do is take the metaphorical “next step.” You have to get yourself moving in the right direction again, one small step at a time. At Asian Efficiency, we call this Solar Flaring – the idea that a solar flare on the sun begins small, but that once it starts moving, it explodes with energy and motion. All it needs is that tiny bit of momentum to get things going. If you find yourself truly stuck today, and you’ve worked yourself to exhaustion, remember, tomorrow morning is a new beginning. There’s absolutely nothing wrong with stopping, refilling your bucket, sleeping, and starting fresh again in the morning. Tomorrow is another opportunity to try again and learn something new. This is NOT failure, and it’s not giving up. This is the process of learning. It’s being a smart, intelligent, living being and recognizing that sometimes it’s better to rest and to try again when you’re fresh. Thanh Pham is founder of Asian Efficiency. He is a passionate coach, writer and entrepreneur who has helped thousands of people become more productive, more successful, and happier in their lives, one day at a time. Get his free Productivity Toolbox here.